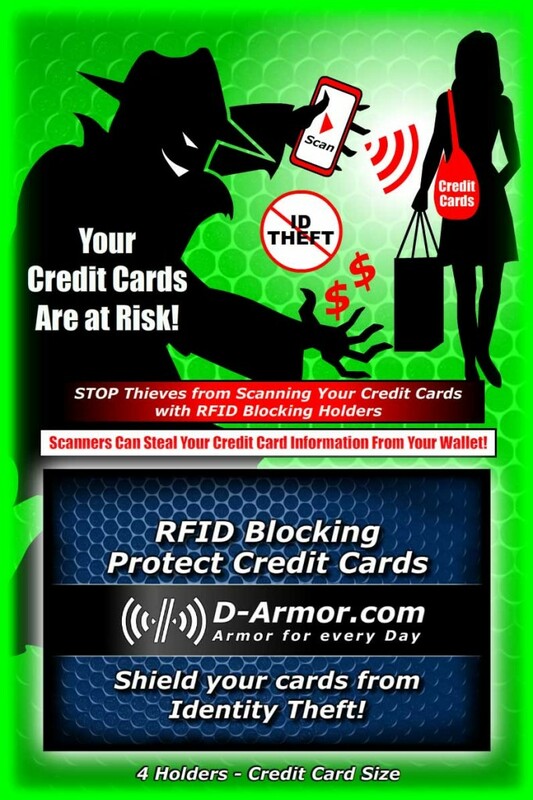 Electronic Pick-pocketing, Digital High-jacking are occurring every day. Would be thieves do not have to physically steal your wallet or even touch you to get your personal information. The technology to scan your Credit Cards is readily available. Scanners can easily bought on line or components can be cobbled together for those hackers who like to tinker, but even easier still, most of use are carrying around a device that can do the job already. Any cell phone or tablet with NFC (Near Field Communication) capabilities are capable of scanning unprotected cards and other RFID enabled bits of technology. So a modern day cyber criminal could look like anyone. Anyone with a cell phone and a few apps can nab your important numbers and spend the rest of the day enjoying all of the things you wish you could buy.